After years of working in the travel industry in Sweden, Betty Bai saw first-hand that traditional travel practices were fading. People were no longer happy to travel in groups with strangers, and her Chinese clients were looking for more individual travel and flexibility. With customer behavior and technology driving change in the industry, Betty decided to take some time out. She decided to pursue a full-time MBA at the UK’s Lancaster University Management School, to learn how to tackle the challenges posed by the changing market. 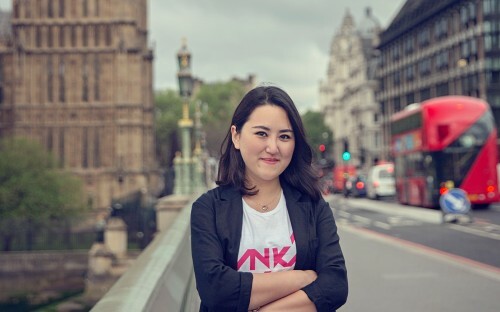 After graduating, Betty launched her own travel tech startup KanKan, which used an Uber-style sharing economy model to link travelers with ‘local buddies’ for a personalized travel experience. She sold KanKan in December 2016. Since then, she’s gone on to found her own luxury travel company, Baitu, which provides high-end services to Chinese clients—like the opportunity to meet Prince Harry at the Tiffany Royal Charity Polo event for example! Why should entrepreneurs do an MBA? BusinessBecause caught up with Betty to find out. How did the idea for KanKan come about? I remember a course called Managing IT in Organizations on my MBA. My study group was analyzing Zara and how their supply chain management could be improved through use of IT. It made me realize that all areas of business influence an industry’s development, like a butterfly effect. The IT industry could cause revolution in many industries. I began to do research on how I could apply technology to the travel industry and find solutions to the challenges. At the time, Uber was applying technology to change the taxi industry with a shared economy business model. I thought I could apply this to the travel industry, which is how my company and the travel app were established. My idea was to create a platform where travelers could link up with locals to make a visit to a city easier and get the feeling of living like a local. How did the Lancaster MBA support you in developing your business? As the founder of a small startup there are many challenges: securing investment, developing the platform, building a team, positioning the company, operations, and marketing the product. I also had to think about the challenges of supply and demand and the seasonal nature of the tourism industry. Studying an MBA helped me greatly in all these challenges. It also broadened my knowledge to work in other sectors in the travel industry and look at the world in a different way. I now understand all types of business knowledge and can manage, analyze and develop it by making strategic decisions. I feel I’m not only able to spot an opportunity, but can now react to it and drive a plan forward from market research, building a team, business development, analyzing financial figures and building a customer base. The MBA taught me to see the big picture and to pay attention to economic and political changes around the world. The new venture challenge module on the MBA helped develop my skills and confidence to pitch to investors. I learned both how to deliver the pitch to prospective investors and also about the financial terms and contracts. From this I managed to secure £200k investment to start my company after graduating. Why did you decide to pursue the Lancaster MBA? Lancaster was very strong in the areas I was personally interested in. The MBA’s corporate strategy module ranked number one in the world. I knew these skills would benefit me greatly going forward. A good business strategy is very important when leading a company in a successfully direction. The lecturer, Professor Gerry Johnson had also published a book called Exploring Strategy, which was one of my favorites. What advice do you have for anyone considering an MBA? I would encourage people from all industries to do an MBA. The general education is beneficial no matter what your background is. It can open up great opportunities in so many ways. It really is a platform from which you can achieve you dreams.